Last year near St. Patrick’s Day I wrote a post about decorating with green and it’s also my favorite color so that was really fun. 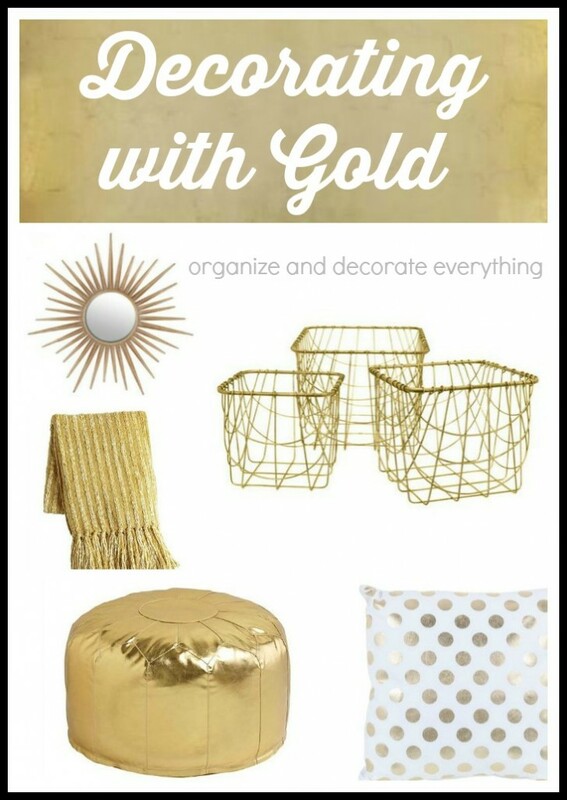 This year I thought it would be a good idea to write about Decorating with Gold. It’s become so popular in the last couple years and it’s an easy color to add to your existing decor. You only need a little gold to add interest and sophistication to any room. I’m going to show you some of my favorite pieces I found and then I’m going to offer you an alternative so continue to the bottom of the post for a great idea. There are affiliate links provided at the bottom of this post for your convenience. There is no added cost to you, in fact in many cases the cost may be less than when purchased some where else. Thank you for your support. Let’s start with the ceiling and work down. 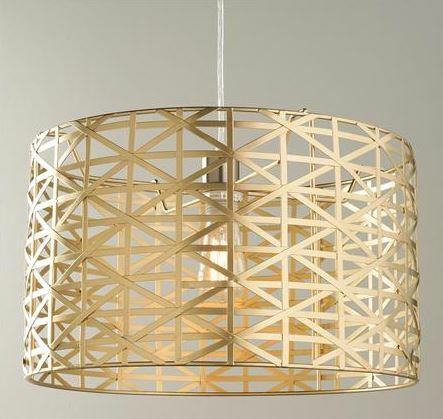 I love this Metal Strap Drum Pendant. The shape is classic but the strapping is so interesting. 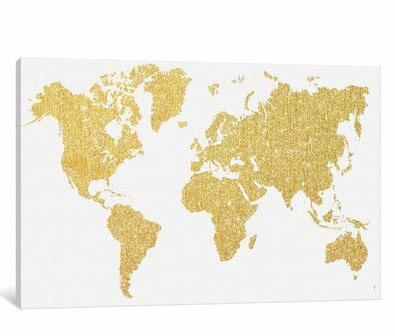 I have a love of maps and this Gold Map would look pretty amazing in the gallery wall I am working on right now. Actually I think it would look pretty great anywhere. 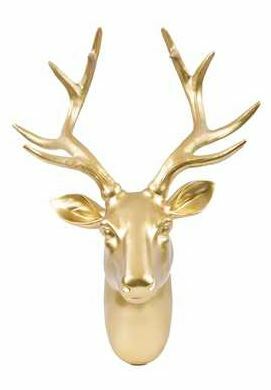 This Deer Head would look adorable in a boys room or even a guest room. Or I could just keep it for myself and hang my necklaces and bracelets from it. I applied dark blue arrows to one of the walls in the boys room and now I’m addicted. I could easily add decals to walls in every room of my house. They are perfect for renters since they’re easy to apply and remove. I’m thinking I need these Gold Dot Decals in my bedroom soon. 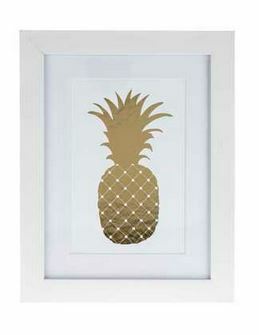 It’s gold and it’s a pineapple so I’m still trying to figure out why I haven’t purchased this Gold Framed Pineapple yet. What am I waiting for? 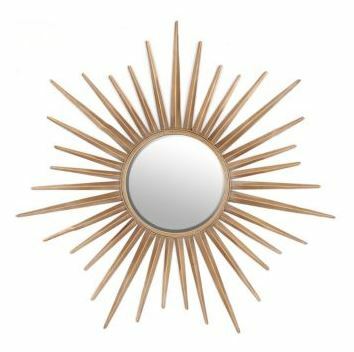 Sunburst Mirrors have been popular for a few years now but I think it’s safe to say they will be around a bit longer. My favorite thing is to group a few of them, in different sizes, on a wall together. I love unique frames. 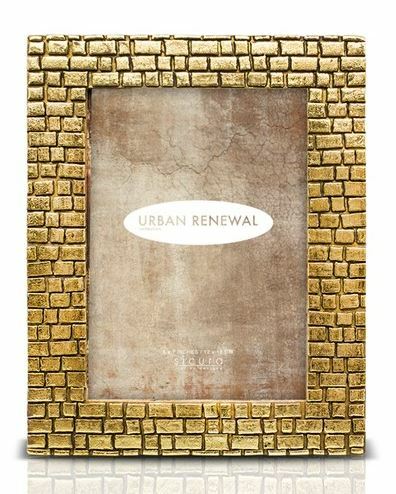 Doesn’t this Brink Picture Frame remind you of a modern version of the yellow brick road? This would look so great on a night stand or bookshelf. 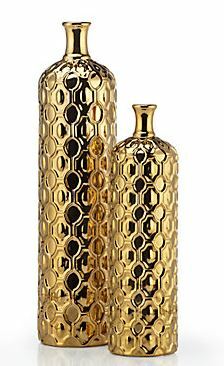 These Gold Vases would look amazing on a dining table or side bar. The geometric design adds so much detail and style. 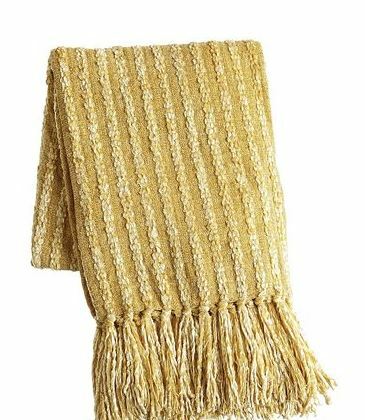 Everyone needs a throw in the living room, family room, and bedroom so I think a soft Chenille Throw might be the answer. It would make a great gift too. Trays are one of my favorite organizing and decorating pieces. They are so versatile and can be used in almost any room of the house. 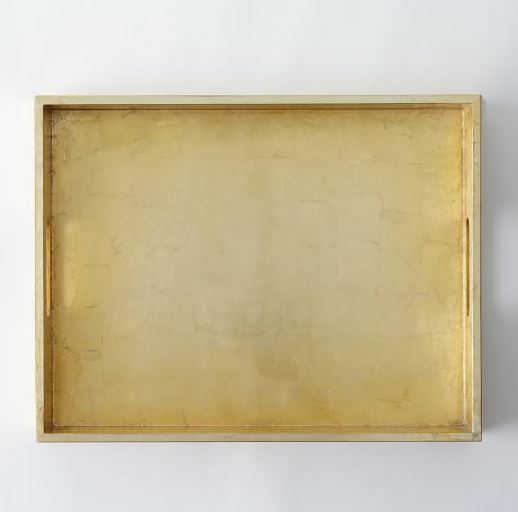 If you’re still not sold, this Gold Lacquer Tray will make anything on it look beautiful. I can just picture it on my ottoman with the TV remotes hidden in a small box on top and a vase of flowers. Can you picture it too? 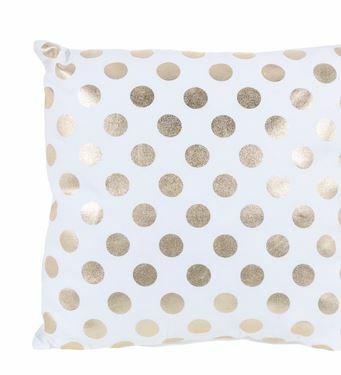 If you’re not ready to go really bold on the gold this Gold Polka Dot Pillow is the perfect answer with a white background and medium gold dots. Oh, another decorative organizing piece. 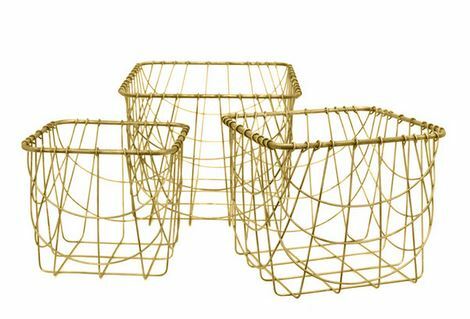 Aren’t these Gold Metal Baskets amazing! They would be great to contain things on a shelf or a counter top and look beautiful doing it. 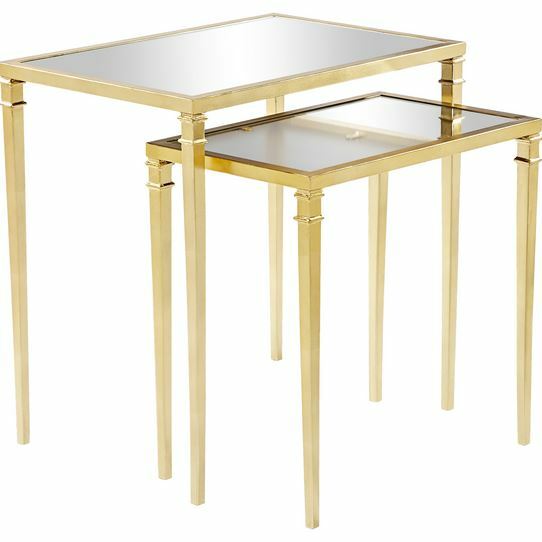 I know these Nesting Tables won’t fit in every home but I think they would be beautiful in a formal living room or a lovely guest room. I find myself really drawn to their simplicity. 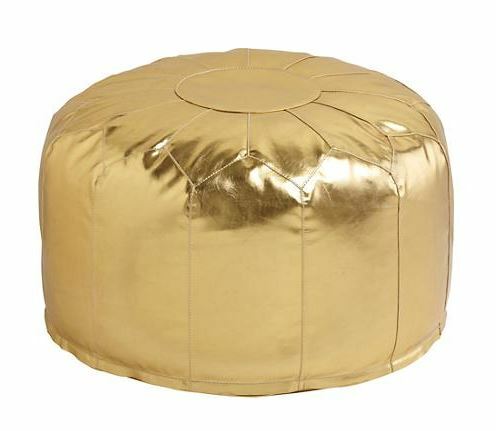 I have to admit this Gold Pouf is a quite bold, but I have a teen girl who could totally pull it off in her room. It would actually look pretty good in my bedroom too. Would you have a place in your home for it? Last but not least, we can’t forget a rug. 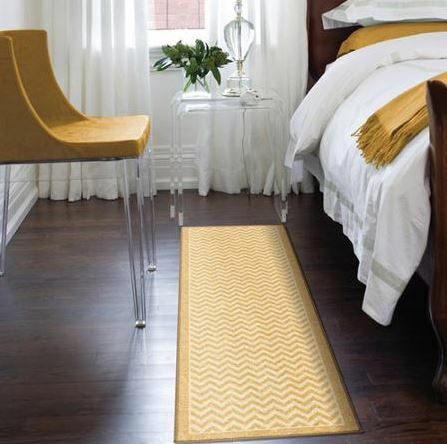 This Chevron Stripe Rug adds so much interest to the floor. The floor is often forgotten when decorating so this inexpensive rug might be the perfect addition to your room. Look at this room! I kind of love the whole room. Okay, which piece do you love the most? We can’t all go out and buy new decor in a new color any time we feel like it, so I have a great alternative for you. I do it all the time so I don’t have to spend money on new pieces. Paint it! Most of these pieces can be painted with spray paint, acrylic paint, or house paint. Metallic paint is so beautiful and can change a piece in an instant. You probably won’t be able to recognize it, or at least your friends won’t. So the next time you want to change or add a new color to your home don’t forget you can always paint it to achieve the look you want. Robyn @ Less This Mess recently posted..I sure did!